The Catholic Pro-Life Committee, in collaboration with Anglicans for Life, is introducing a new pro-life curriculum, Project Life, to provide parishes a comprehensive snapshot of the top life issues and to inspire you to make a difference for Life. 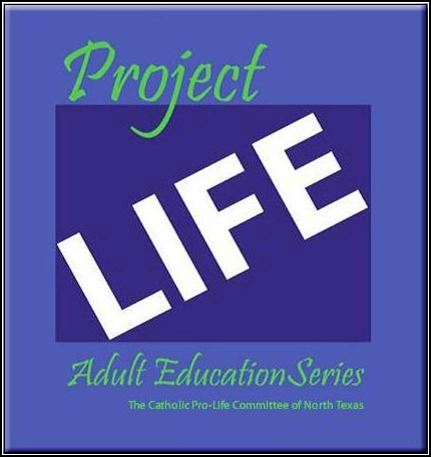 The pilot program of Project Life begins next Tuesday, February 21 at 7 p.m. at St. Joseph in Richardson (St. Joseph room) with Father Timothy Heines presenting "Age Old Enemies: Life & Death." And the second session on Feb. 28 will be presented by Bishop Doug Deshotel! Click here for class schedule. Participant Handbook required and available for purchase ($10) at class.